Oh you borrowed Celina’s copy din pala! 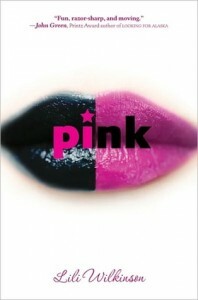 I enjoyed reading this one even though I’m not a big fan of the color pink. I wasn’t a fan of Chloe either and I could understand why Ava wanted time away from her. I liked the theater preparations in the novel too because I was reminded of how fun those productions are – we had them in high school as well.